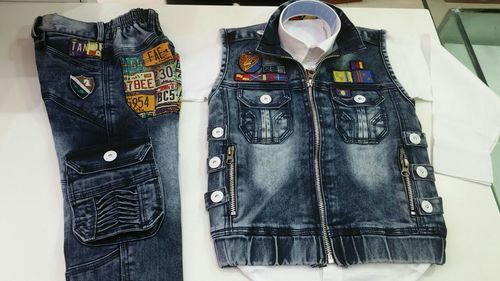 Our product range includes a wide range of denim half suit, fancy jacket suit, denim jacket suit, fashion jacket suit, fancy baba suit and fancy denim suit. 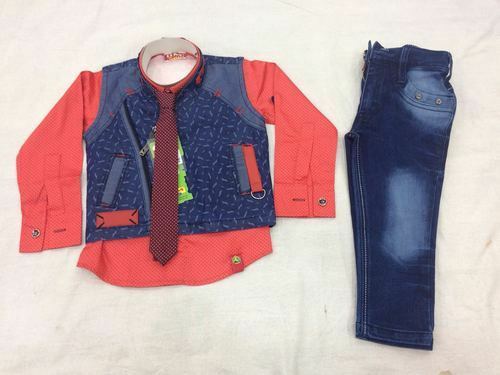 We are the prominent manufacturers and suppliers of a collection of 3 PIECES BABA SUIT. 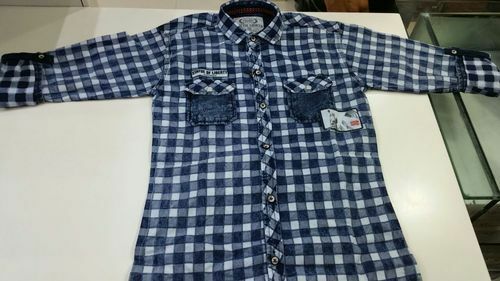 This product consist of One Summer Jacket made of Soft and light weighted fabrics, Cotton Shirt, and Jeans 3Quater. 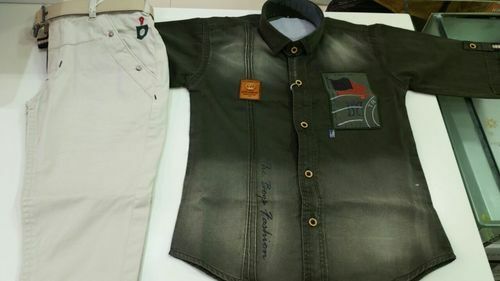 These products are manufactured of quality fabric at our manufacturing unit. 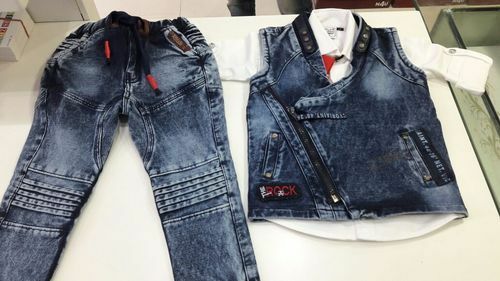 Skilled worker and tailors are dedicated to design these kids suit. 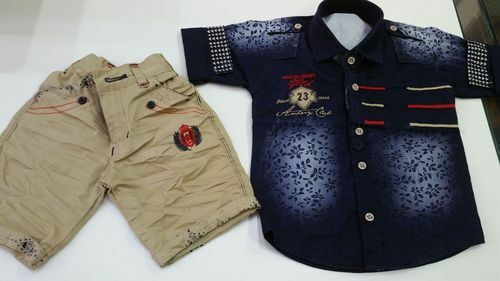 These products are acknowledged for their feature such as elegant patterns, Soft Fabrics, and Cotton pattern. This Product is high in demand among the exporters and traders. Packaging Details: SIX PIECE IN A CARTOON. 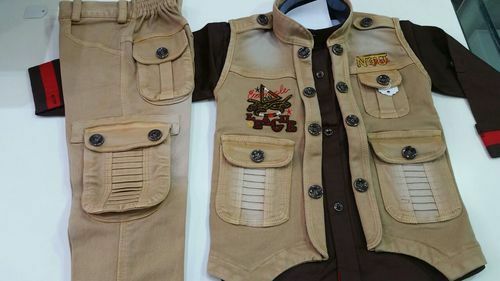 We are the prominent manufacturers and suppliers of Fancy Baba Suits. 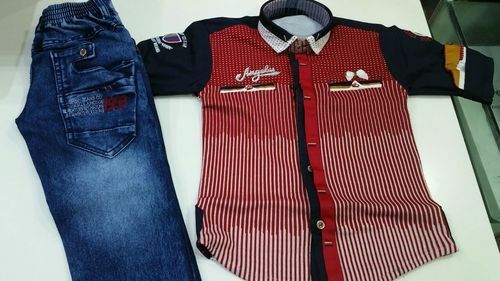 This product consist of Denim Jeans and Pant .This Suit is manufactured of quality fabric, Skin Friendly material with well finished stiches. This Suit is acknowledged for tis feature such as elegant patterns, Soft Fabrics and Sober. 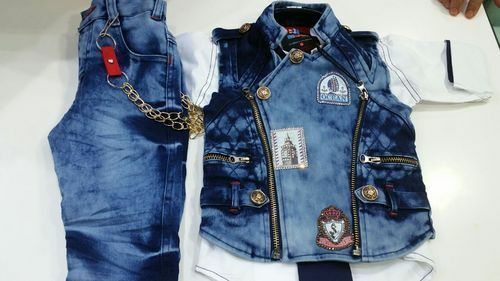 It is high in demand among the exporters and traders. B.M. 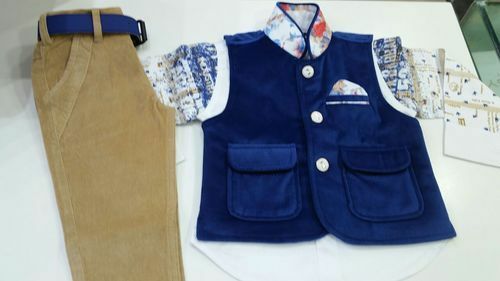 Ekta Dresses is a renowned name in the domain of kid's apparel, catering a large client base with quality assured garments since 1973. 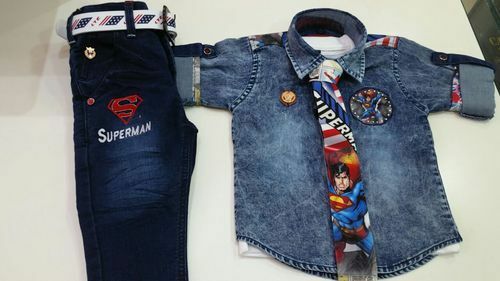 We have grown in our respective domain as a reliable manufacturer, exporter and supplier of Kids Wear, Designer Kids Wear and are highly trusted for our ethical business practices. 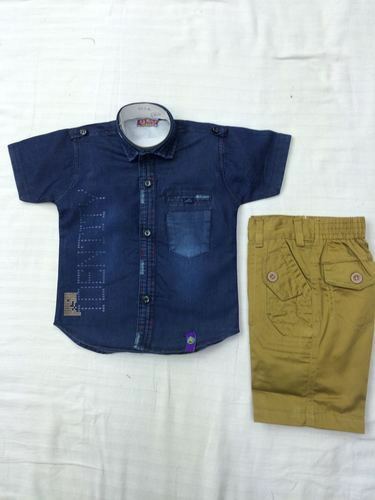 Our entire gamut comprises Girls Clothing, Designer Kids Wear, Mens Collection, Boys Clothing and Gents Garments. 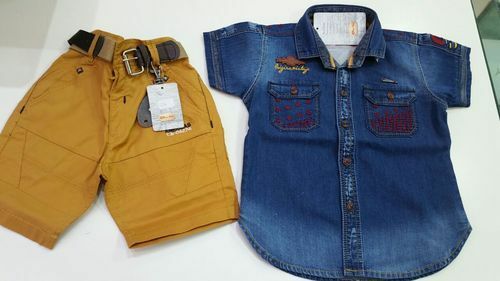 The extended gamut of of our Boys Clothing consists of T-Shirt, Tops, Cargo Pant, Jean, Jacket, Cap, Scarves and Ethic Traditional Kurta-Pyjama. 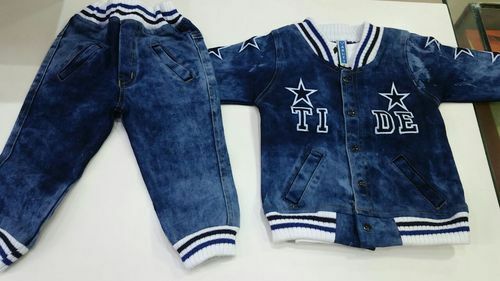 Looking for “Denim Suit for kids”?